Choosing the right executive coach is important both to the successful development of an executive and to the overall success of an organization. The greater the scope of responsibility an executive has, the greater the risk to the company. An effective executive must have sound judgment, make smart decisions, and take action as needed. They must develop a range of leadership styles to be used with different people and in varied situations. And they must align themselves and their team to the strategies and culture of the organization. An executive coach can play a strong role in minimizing those inherent risks. An experienced executive coach can accurately assess a leader's strengths and weaknesses, along with a plan to develop a wide range of leadership competencies. They act as an unbiased sounding board and bring fresh, outside perspectives to the table. An executive coach will help clients enhance their strategic thinking and improve their productivity. But choosing the wrong coach will not only waste time and money, but can lead to poor operational results. This whitepaper discusses the three most common mistakes made when selecting an executive coach, along with advice on how to choose wisely. Focusing solely on coaches who are "certified" is a serious mistake. But competency in coaching techniques doesn't translate to business savvy. It doesn't give an executive coach experience in business matters, and a coach with a strong understanding of the realities of business is extremely important to an executive client. An astute business person - schooled in coaching techniques - is more valuable to an executive than a coach lacking a strong business background. When choosing among a group of executive coaches, their background prior to their coaching career can play a significant role in their effectiveness with and usefulness to an executive client. Choose an experienced executive coach with a strong business background. There is a tendency to look for an executive coach who has experience within the client's industry. But that would be a mistake. Granted, industry experience could be helpful, but two important factors should be considered which outweigh that possible advantage. The first, is that generally an executive coach is helping an executive with leadership competencies, not strategy development. Helping someone think more strategically is not the same as developing a strategy for them. Specific industry experience is unnecessary in helping a client be a more effective leader. The second factor, is that often the best ideas and insights come from outside an industry. Long years spent within an industry leads to a sort of "group-think". When that happens, ideas come in the form of incremental improvements. In contrast, fresh perspectives brought from outside an industry can lead to innovation and significant change. When choosing among a group of experienced coaches, varied industry experience can play a significant role in a coach's effectiveness with and usefulness to an executive client. Choose an experienced executive coach with a varied business background. Using coaching competence, years of experience and a strong business background as criteria for short-listing a group of executive coaches is smart, but relying strictly on their "resume" would be a critical mistake. No matter how good an executive coach is and no matter how good an executive client is, unless there is "chemistry" between the two individuals, the results will be less than satisfactory. It is essential to ascertain whether chemistry exists between the client and the coach. Learn more about the corporate coach matching service offered by Noomii. Noomii can provide you and your organization with excellent executive coach recommendation(s) based on your specific needs. 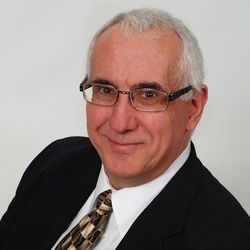 Michael Beck, is the Founder and President of Michael Beck International – a leadership development and employee engagement consulting firm, headquartered in Portland, OR. He is passionate about helping leaders bring out the best in others, and utilizes executive coaching to improve their effectiveness, broaden their strategic thinking, and maintain their focus on execution. Noomii is the smart way to find executive and leadership coaches. With Thousands of Coaches in Our Network, We’ll Find the Right Ones for Your Corporate Coaching Initiative. Learn more.